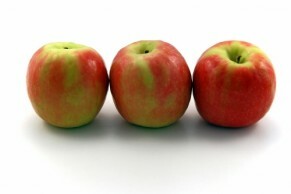 raise healthy eaters in the new year | How About Them Apples? ← Are your New Year’s Resolutions S.M.A.R.T.? Make simple food safety, like washing hands, part of every eating occasion. Teach basic skills for making positive food choices away from home. This one is fun for everyone and it can happen anywhere: your kitchen, the grocery store or a community garden. Every trip through the supermarket can be a nutrition lesson. Kids can learn to categorize food into groups: grains, fruits, vegetables, milk foods and meat/beans. They can choose new foods that they want to try, like picking out a new fresh, frozen, canned or dried fruit each trip. As children get older, they can help plan the menu at home and then pick out the foods to match the menu items while shopping. This entry was posted in kids eatright and tagged cooking, dietary guidelines for americans, food, health, healthy, healthy-living, holiday weight gain, home food safety, kitchen, lifestyle, Nutrients, Preparation, Snacks. Bookmark the permalink. I just researched the topic “food” on Word Press here and found your very fantastic efforts to educate others about eating better and healthier awesome! I reblogged this story and welcome working with you in any form whatever. I can designate titles on the NIng Network Pro Plan I pay for so if you should ever want to have me create a place where you can educate others about nutrition, I am game. I just created two very informative newsletters this last week: One for Epilepsy and the other for Alzheimer’s Disease. I look forward to talking to you via email. Here is a wonderful article by Nadine and Adam who speak out about raising our awareness about eating well, educating children and producing healthier kids, which I am all for. I applaud their efforts! Paulette, thank you for passing on the article although neither Adam nor I are responsible for the content. “Kids eat right” is from the Academy of Nutrition and dietetics and its Foundation. Please give proper credit to those articles.